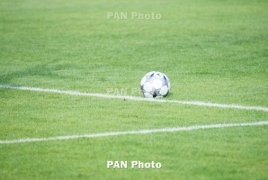 PanARMENIAN.Net - Armenia beat Liechtenstein 2-1 in their first UEFA Nations League fixture on Thursday, September 6 in Yerevan. In the first half of the match, midfielder Marcos Pizzelli shot from outside the box to the top left corner of Liechtenstsein's net after Aras Özbiliz, an Armenian winger, assisted. Minutes later, Liechtenstein's Sandro Wolfinger shot from the left side of the six yard box to the bottom left corner for an equalizer. In the second half, Armenian midfielder Tigran Barseghyan, again with an assist from Özbiliz, netted a second goal for Armenia to help the team win the game. Next, Armenia will face Macedonia on September 9.